The Bogardus Farm Burying Ground is near the intersection of Switzkill Road (County Rte. 1) and Sickle Hill Road, in the woods behind a house. 100 Yds west side of Switzkill Rd, on high bank, approximately 300 yds south of Willsey residence. Owner: Morris Willsey, Sickle Hill Road, Berne, NY 12023. The deed to the Bivin's house includes provision for public access from Rt. #1 to the cemetery. 10 by 20 feet and unfenced. The earliest found by Allen Deitz in Oct. 2005 is 1838. 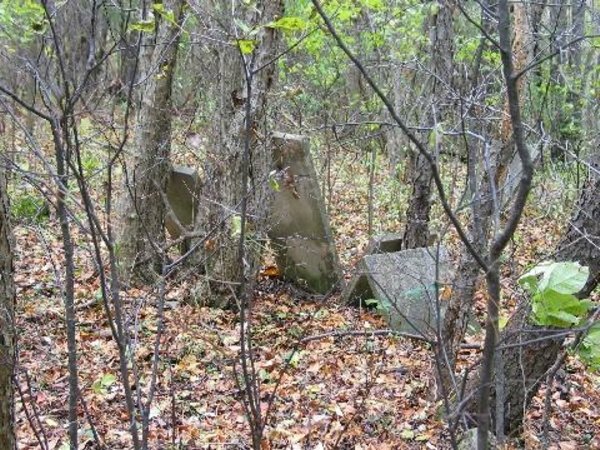 He reports that the cemetery is totally overgrown with many decades of growth. Some stone's there were relocated from other locations. Some stones vandalized - broken. Most laying flat and scattered. May be several covered. Several footstones there, and fieldstone type. Every one buried there is a Deitz or a spouse or child of a Deitz.